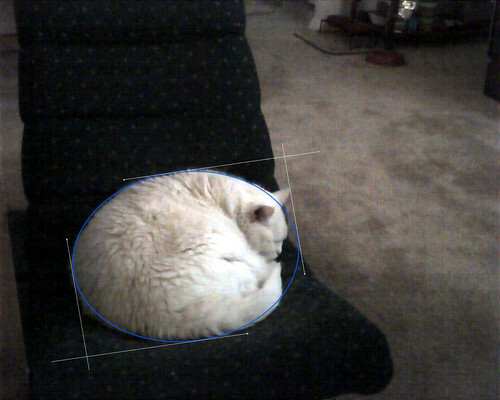 Caturday – Round Cat is Round Edition. As you can see from the light blue geometric overlay, when curled-up and sleeping Pandora is able to form a near-perfect ellipse. That video rocker’s going to need a brushing.